THE STORY - When a theater director takes on a new project, she becomes concerned when the production takes on a life of its own due to her young star taking her performance too seriously. THE GOOD - Gives us a window into a manic & disorienting state of mind that is stripped to its bare essentials. The examination of artistic expression. Wild editing, immersive sound and unique music all aid us to better understand Josephine Decker's vision. Helena Howard's convincing and star-making performance. THE BAD - Definitely not for everyone. Will frustrate impatient viewers and those who like their narratives more streamlined. ​I am not entirely sure I can write a review of “Madeline’s Madeline” and do it full justice. So much of what transpires on screen is meant to be ambiguous, obscure and unusual. It is a pure arthouse film through and through, requiring cinema-goers to engage their brains throughout until the film’s disorienting dream-like qualities put us into a meditative state of awe and self-reflection. Which is all leading up to me saying: “Madeline’s Madeline” is not for everyone. As one character says in the film, “The mind is a shining pendulum between sense and nonsense.” The opening of the film establishes that what we are about to see is all a metaphor and writer/director Josephine Decker is committed to making us work hard to figure out what it’s all a metaphor for. I’m still not quite sure I know but I’ll do my best. Madeline (Helena Howard) is a 16-year-old teenager living in New York City with her mother (Miranda July) who she distrusts. Madeline suffers from some form of mental illness and has been off of her meds for a week. Struggling to be herself in a world that is not seen the same way by her as it is others, her only solace is with a theater group run by Evangeline (Molly Parker), a caring artist who loves and nurtures Madeline to be whoever she wants to be. “Madeline’s Madeline” is (In my opinion) working on a few different levels here. It is a meta telling about the making of the film itself - its own form of artistic expression. It is a commentary on what artistic expression actually means, what it does to people around you and more importantly, how it impacts yourself. Madeline clearly has some form of mental illness which is never disclosed in the film but one could also take away that the art of acting itself, is its own form of mental illness. We see how Madeline is lured into a false sense of security by her secretly insecure acting teacher and is pushed to express herself with raw and emotionally wrought acting performances instead of the more playful and calm performances she prefers of various animals such as her cat or a sea turtle. We also see how “Madeline’s Madeline” also works as a unique coming of age drama, as this teenager struggles to have a relationship with her loving but overprotective mother. Madeline wants to be free to be herself but in her mother’s view, that means she will stop taking her medication and potentially hurt someone or herself, which she cannot allow. This frustrates Madeline who only wants to socialize, meet boys and explore who she is as both a woman and a person. Madeline’s only release is when she’s at theater rehearsal with the other actors, all of whom are disjointed from reality and looking for some form of artistic expression themselves. Josephine Decker does an incredible job of putting us in the headspace of the film’s disturbed main character. She utilizes the handheld camera technique throughout the entire film to keep us off balance. Most shots are out of focus shots with shallow depths of field and lens flares, complimented by wild editing choices and a fully immersive soundscape with accentuated sound effects and overlapping dialogue to make us feel as manic and confused as Madeline. She proves that you do not need fancy costumes, elaborate sets or big budgeted CGI to transport your audience into a setting that feels other-worldly. She uses the magic of cinema to distort our world to the point where we are constantly wondering what is real and what is being imagined. If you find yourself getting frustrated because you’re struggling too hard to work it all out - don’t forget that the film told us right from the get-go, that this is all a metaphor. At a certain point, like actors or any other artist out there, the time comes for us to stop trying to make sense of everything and simply let go. It’s a bold choice for any director to make, as it requires that some form of narrative coherence will be lost in the process. 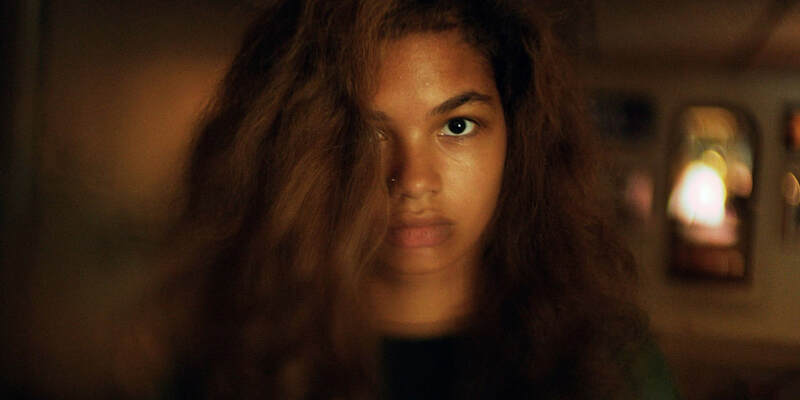 However, the tradeoff is that taken as a whole, “Madeline’s Madeline” works as its own form of artistic expression for the filmmaking process itself. With a loose script that embodies the phrase “art imitating life,” it is clear to see how Helena Howard is both playing in art and in life, the newly found actor for her director in life (Josephine Decker) and her director in the film (Evangeline). Her senses are open, her emotions are at the ready but she needs direction. She is being directed by someone who frustratingly wants to express herself just as much as she does but may or may not quite know how to do so. “Madeline’s Madeline” is the answer that Josephine Decker came up with, in the search for that form of artistic expression. It’s messy, imperfect and maybe not always understood but we are grateful it exists and cannot wait to see where the cheers of Decker and Howard go to next.